This is the first time I have written a testimonial for a product but feel compelled to do so following the success I experienced since trying your anti-snoring lotion. After trying countless "remedies" with no success, silence has finally returned to my sleeping - and after only one night! I have now been using you anti-snoring lotion for 6 months and have no hesitation in expounding its virtues to all and sundry. Try it - you won't regret it! I had a problem with my left knee and it was getting too painful so an operation was performed which fixed the problem. About three months later I experienced the same problem with my right knee but this time I applied an essential oils blend and it worked wonderfully. The pain disappeared within a few days. I use essential oils every time I have a health problem and they always help me. Thank you Aromatherapy Clinic for your good advice. A few months ago a painful lump grew under my armpit. I was informed that it would have to be removed by operation. I decided to try essential oils before going for the operation so I applied a blend of three oils one evening before going to bed and to my amazement the pain was gone the next morning and the lump almost disappeared. I believe in the power of essential oils, they work for me every time. I suffer from painful periods. A friend recommended "Monthly Comfort" so I purchased this essential oil blend from Aromatherapy Clinic. I asked my husband to give me a massage. Using this blend he massaged my feet and stomach. The massage helped me to relax and the pain went away completely after about half an hour. I use "Monthly Comfort" essential oil every time I need it. I work as a delivery courier driver where lifting of heavy boxes is required. This causes pain in my wrists. After an advice from Aromatherapy Clinic I apply essential oils whenever I experience the pain and the oils work quickly. At first I was a bit skeptic about the essential oils but now I believe in their healing capabilities. Every time I have a headache I rub 2 or 3 drops of Frankincense oil on the top of my head and my headache disappears shortly after. I always buy essential oils form Aromatherapy Clinic because they supply very good quality products. Just want to say thanks for the great service you have supplied me. I received my oil yesterday & was amazed at the quick delivery. My mother used to travel to your location to purchase this product for me but I am so happy to know that I can now order over the Internet with confidence. 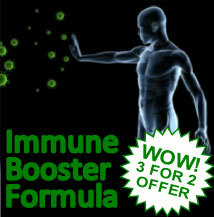 I have been using Immune Booster for the past 2.5 years now & would never look back. It has been an absolute blessing! My Mum first purchased this for me to relieve me of my hay fever - which of course, has now ceased. 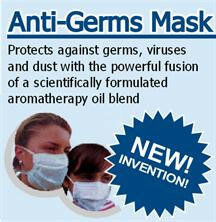 But it has also helped me to beat the common colds & flu's, which often pass my way. My children& sometimes husband have also been prone to getting the latest viruses, none of which have affected me & I purely put this down to this wonderful product. Thanks for making my life healthier! I was referred to the RPA Hospital sleep disorders unit for my loud and continuous snoring. After months of trials and testing which included overnight stays hooked up to state of the art equipment by way of wires all over my body. They diagnosed me with severe sleep apnoea. Their solution was a CPAP machine. I decided to rent one before purchasing, fortunately, as wearing a CPAP machine was worse than the sleep apnoea. I still had to pay hundreds of dollars to buy the mask and tubing that they didn't rent! Sometimes I woke up choking from a dry throat, every time I rolled this way or that it woke me and I still wasn't getting any sleep, as well as the physical problems there was also the psychological problems of how I felt going to bed looking like a monster. My partner nick named me Ganesh as the long tube made me look like the elephant headed god. I would wake up some nights and throw the mask across the room, angry that this is all "modern" medicine could do for me. I started searching the internet and found a few other alternatives. I rang the doctor at RPAH and asked him about them. With a very narrow mind he told me none would work. I asked if he new of them and he didn't. His reason they wouldn't work was based primarily on the fact they were inexpensive. I decided to stop using the CPAP machine and took it back. My partner brought me home a bottle of Anti Snoring blend and to her relief and mine; I hardly snore at all anymore. It started working from the very first use. Thank you Aroma Therapy Clinic, natural is always the best remedy. Married for 30+ years with a snoring husband we had tried many remedies and he was cynical when I came home with "more snake oil". He gave it a try and is a convert. I had the best night's sleep for years and his comment is that he is amazed. It worked better as the residual effect kicked in and he is now a great advertiser of your product. Am now considering some of your other products and recommend you strongly to family and friends. Thank you. Thank you for your prompt reply to my email regarding anti snoring drops. To answer your question - yes, my husband was diagnosed with sleep apnea some years ago now, and struggled first of all with the dreadful mask, and then he progressed to the 'nasal-aire' which he found much more managable, but he still prefers to use your drops. Thank you for your help, Sincerely, Pauline A. Thank you so much for the parcel enclosing my sinus drops, and the bottle of Immune Booster drops. It's very kind of you to send me a free sample, and I will willingly use them, and then email my findings to you. The sinus drops have already improved my sinus condition, and I can 'breathe easy' once again. Quite magical!! I'm not subject to colds and flu in winter (it's difficult typing with my fingers crossed) and both Tony and I always have the anti flu vaccine injections early in the winter. However, in a couple of months time there will be plenty of pollen in the air, and the hayfever season will be in full swing, and thats when I hope the Immune Booster drops will work their magic, and then I'll most certainly let you know my findings. Thank you for your interest, and kindness to me. Its very much appreciated. All good wishes, Pauline A.
I haven't been in touch with you for some time now - although for the past couple of weeks I have been intending to email and place an order with you! Before I do that though I want to thank you for sending me the free sample of your immune booster, which you enclosed with my order for sinus drops. That was back in the winter, and I saved the immune booster until spring arrived with all the pollen and dust that always accompanies it. I have to tell you I've never had such a comfortable spring as far as hay fever is concerned, and I'd recommend your products to anyone (and I do). It really is remarkable how successful all your products are - my husband is still using your anti-snoring blend (several years now) and I never hear him snoring nowadays, and his cpap machine is stored away in the bottom of the wardrobe. Sincerely, Pauline A.
I would like to enquire about importing your products into New Zealand. We have just recently moved back home to New Zealand after living in Australia for 4 years. While living in Australia, I discovered your Anti-Snoring Blend for my partner and now absoutely swear by it. 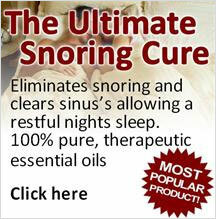 We had tried various other anti-snoring products which didn't really work and then we discovered your product. Before we left Australia I bought several bottles to last us, but we are just about onto the last bottle so I am desperate to get some more. We have even given the product to several friends of ours and they are amazed as to how well it works. I noticed on your website that you are looking for distributors, which I am interested in. 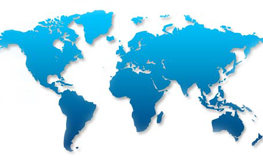 Could you please provide me with some more information about being a distributor in New Zealand. If feel that there is a real market for your products. I said I wasn't going to email you until I had finished the sample of Joint Blend, but I can't contain myself any longer!! I've used the blend now for almost a week, twice a day, and I just can't believe how much relief I have already received. I use it on my feet (which were particularly painful), my right knee, and my left hip, and yesterday I decided to try it on my elbow joints which have been sore for weeks, and overnight there is a marked improvement. You've certainly got a winner in this latest blend John, and now I want to know when it will be on the market. PS. I forgot to tell you that Tony sprained his right thumb badly three days ago, doing some gardening, and for the past two nights he has rubbed the joint blend in, and then slept with a cotton glove on, and now he has no more pain!!!!! I have been using Immune Booster with much success. I have been suffering with Ross River Virus for the past 7 months. After being on so many medications (anti inflammatories, pain killers etc), accupuncture, massage, herbal teas and many other concoctions, i have finally found the closest thing to a cure - Immune Booster!! Thank you for helping me get my life back on track. I have been recommending your products to all and sundry and will continue to sing your praises. I also purchased the Snoring Blend for my partner. Again, after sleep clinics and medications, we have found an instant fix, we couldnt believe it!! Now im writing as im in need of some advice - I have two children with ADHD, so im wondering if you could recommend any of your products to assist with a calming affect while increasing concentration! A tough task, but after the success i have already received, im hopeful you can recommend something to help. My son aged 11 has Down Syndrome and severe sleep apnea. Since using the Anti-snoring Blend he now sleeps peacefully instead of waking up gasping for breath. It worked the very first treatment. Thank God for this product! It may well have saved prolonged his life. If anyone out there has this problem, do yourself a favour and use it. You're wasting valuable sleeping time if you don't.